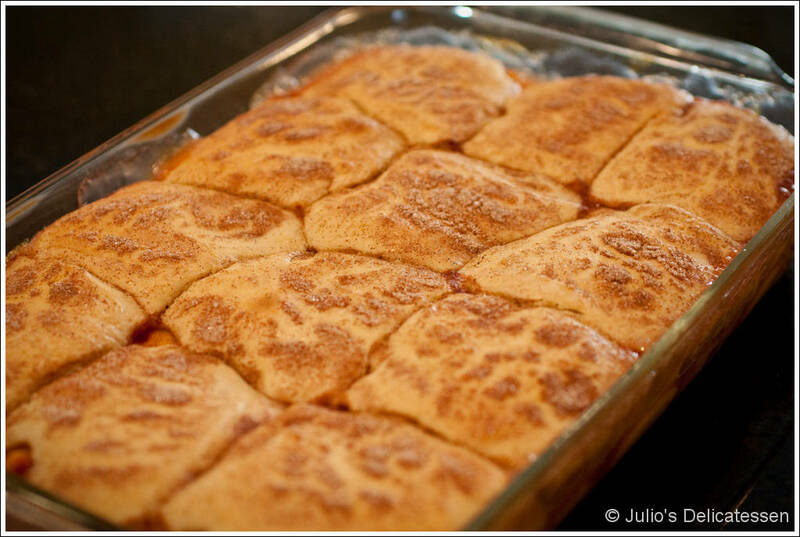 Click here for a PDF of this recipe without photos. Desserts aren’t really my strong suit, but with my friend Virginia over 2,000 miles away and unlikely to show-up at my house with a homemade dessert each week, I figured I’d try one from the Ad Hoc at Home cookbook. The recipe calls for blueberries, but works equally well with basically any fruit. 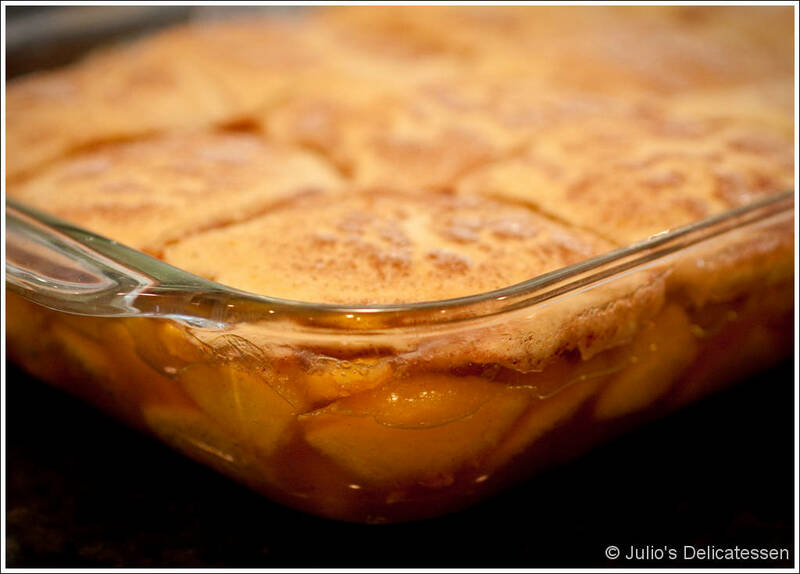 With an abundance of ripe stone fruit at my new local grocery, peach cobbler seemed like the way to go. It turned out pretty lemony (which was okay but which I might change next time) but delicious. Combine flour, baking powder, and baking soda. Set aside. In another (large) bowl, combine butter and sugar. Mix with a hand blender (or in a standing mixer) for about 3 minutes. Beat in eggs until fully incorporated. Add the dry ingredients in 3 batches alternating with two batches of buttermilk. 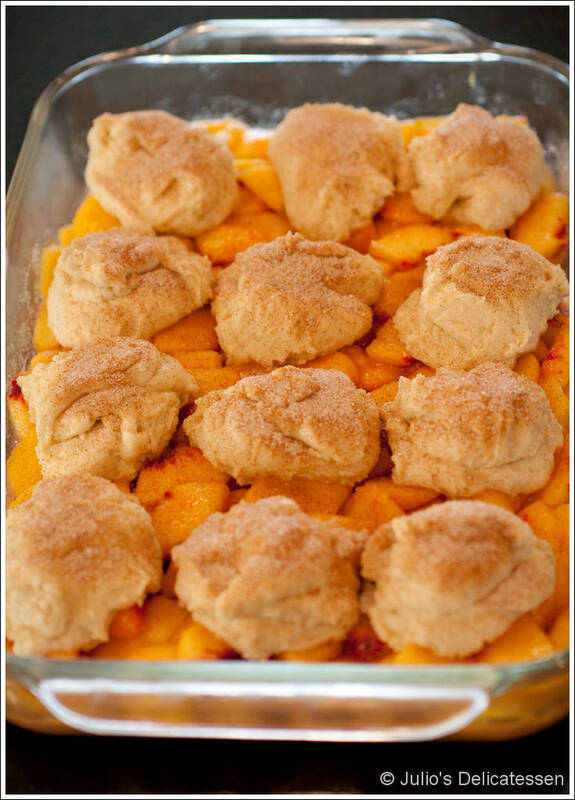 Combine all ingredients for the filling, then spread in a 9 x 13 inch baking dish. 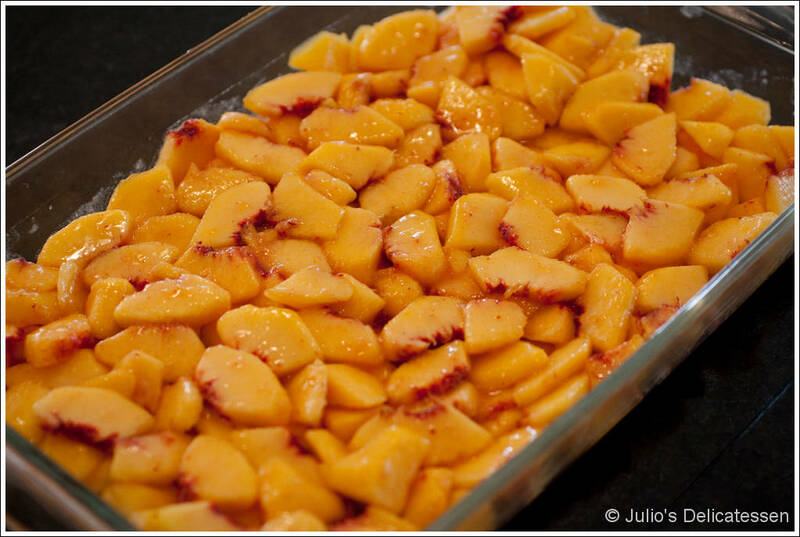 Spoon the topping over the peaches in mounds (leaving space between each one). Liberally sprinkle the topping with the cinnamon sugar. Allow to cool for at least 10 minutes before serving. account your blog posts. Any way I’ll be subscribing to your feeds and even I achievement you access consistently rapidly.